Dyshidrotic eczema is a skin condition that affects a sizeable part of the worldwide population. Read and know all about the disease including its causes, symptoms, diagnosis and treatment. 1 What is Dyshidrotic eczema? It is an extremely irritating condition that is characterized by the development of tiny, itchy rashes over the surface of the hands and the feet. This condition is also known by other names like Vesicular eczema, Keratolysis exfoliativa or Pompholyx of the hands or feet. It is a common skin rash that mostly affects the palms. However, it may also arise on the soles of the feet. Presentation initially consists of the formation of blisters on the palms and on fingers, which then burst. This leads to scaling and or peeling, and exposed skin may experience dryness, redness and cracking, though it is rarely accompanied by pain. Exposure to irritants may aggravate the condition. The condition may also recur up to several weeks after healing. Hereditary factors are also supposed to contribute to the development of this disease. People who work in water for long periods can have this condition due to moist hands and feet. Individuals working in construction industry and handling cement can be exposed to nickel, cobalt or chromium and consequently suffer from this disorder. Changes in the weather are also supposed to be at the root of this disorder. This is due to the fact that the disease is found to arise at certain periods of a year. The term “Dyshidrotic” actually stands for “bad sweating”. However, sweating does not have any association with the appearance of these rashes. As aforesaid, this disorder gives rise to tiny, fluid-filled blisters on the hands, feet and fingers. These rashes, which are usually less than 3mm in diameter, commonly arise along the edges of the palms, toes, fingers and soles. Rashes of this type, which arise on the hands, are known as Cheiropompholyx. Dyshidrotic Eczema blisters on feet are referred to as Pedopompholyx. These rashes are extremely itchy and appear as scaly skin patches that constantly come off in thin small pieces or flakes. The blisters may become cracked, red and painful. Scratching these can result in changes and thickening of the skin. Large rashes may give rise to acute pain. With further spread of this disorder, the small rashes eventually cluster together to form large blisters. If these are scratched or poked, they can break and lead to cracks over the skin surface thereby causing some discomfort and pain. Doctors can diagnose this disorder simply by looking at the skin. In some cases, a skin scraping or skin biopsy may be required to rule out other underlying conditions like fungal infection. If an allergic reaction is suspected, Patch Testing (Allergy Testing) may be performed. Affected areas should not be washed with hot water. Hot water, on contact with rashes, can lead to irritation and aggravate the itchy symptoms in the affected region. If cracks develop in the skin, Band-Aid liquid bandages can help in healing. The condition can also be controlled with the aid of anti-itching oral drugs, such as loratiadine and Diphenhydramine. Patients suffering from itchy symptoms during sleep can take these medicines before going to bed. Creams or ointments should be applied on the hands for at least twice a day, particularly and after washing hands each time. Thick ointments such as Vaseline petroleum jelly, vegetable shortening and mineral oil are regarded as the best remedies for these rashes. However, these can be quite messy. Creams such as Lubriderm and Eucerin can be effective for treatment and may be better than lotions. Doctors often prescribe antibiotics for curing this skin disease. Some patients are prescribed steroid or corticosteroid creams and ointments. Other ointments like Pimecrolimus and Tacrolimus may also be recommended. Acute symptoms may be controlled with Coal tar preparations, Phototherapy (ultraviolet light therapy) and Steroid pills. Unfortunately, this condition does not have any quick cure. Due to this, it can persist for a long time. Complete avoidance of exposure to nickel. Avoiding scratching of the blisters. Scratching can seem unavoidable but can make itching worse. Instead, blisters should be gently rubbed with pads. Using soft, non-perfumed soaps as well as other similar skin care products. Keeping nails short and clean. Frequent use of drying agents on hands and feet, as well as other skin areas that are exposed to water. Avoiding bathing in hot water. Soaking the blisters in salt water or white vinegar for an extended time period. There are several over the counter drugs that can temporarily relieve skin infection that causes this disorder. You may easily get Corticosteroid ointments and creams in local drug stores and medical shops. These are quite popular for curing this type of infection. You may also use oral antihistamines to reduce itchiness in your skin. Over-the-counter steroid creams can also be used for remedy. These have low potency and are quite effective in treating mild cases of Dyshidrotic Eczema. If this fails to bring about an improvement, it is better to get in touch with a doctor for professional medical cure who may prescribe antibiotics or steroidal creams with a higher potency. Here are a few useful Dyshidrotic Eczema photos that will help you get an idea about the physical appearance of blisters caused by this disease. 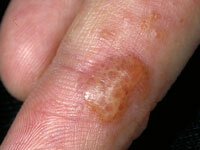 Check out these Dyshidrotic Eczema images for reference. Dyshidrotic dermatitis (pompholyx) is a type of eczema of the hand that starts to arise as small, itchy bumps on the sides of the fingers and later forms into a rash. It is more common in women than in men. The disease may also affect only the feet. However, both the hands and feet can be affected by Dyshidrotic dermatitis in some patients. This condition, much like other types of hand eczema, arises and aggravates due to contact with irritants like solvents, detergents and soapy water. Contact with these substances must be avoided by wearing protective gloves. Some individuals with this disorder are found to develop allergenic symptoms on contact with nickel. Such people should avoid touching nickel items. 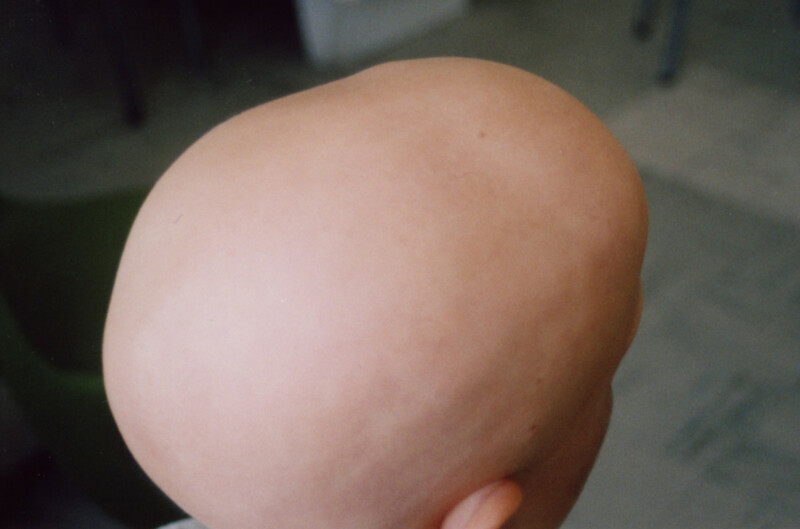 Pompholyx often persists for a long time, but may disappear afterwards. However, the condition usually disappears without problems though the symptoms may recur at a later time following a period of stress, worries or nervous tension. Excessive scratching can result in thickened, irritated skin that may be more difficult to cure and make it longer to make a recovery. The condition may involve give rise to severe itchiness and pain that may limit the use of hands. Excessive scratching can also limit the use of hands. If you suspect yourself to be having this condition, immediately begin home remedies. If these fail to improve your health even after two or three days, professional medical cure is your best option. The earlier you begin the treatment, the faster are your chances of making a recovery.